PUBG Mobile game is one of the best game at this time. Everyone plays this game with a high rating. PUBG Mobile is one of the most popular survival shooting game. There are Four maps available for the survival, and you can play on Solo, Duo, and Squad. So here i am going to share all tricks and tips related to Pubg Unlimited health for free. So checkout this article. PUBG Mobile latest update launched on 20 December 2018. PUBG game also adds new Snow map, and the map name is Vikendi. There are five game servers provided with the ping information, and a user selects one of five servers and play the game. Pubg game is one of the best android game that every you found on playstore.Its have more then 100 million downloads and now pubg is the game of the year. PUBG unlimited health is only two phases possible. First, one is hacked the game but this phase is tough for the users, and after knowing PUBG Technical Team about hacking then users are banned.This Pubg mobile version have simple or easy way to get unlimited health. Now below we share the beneficial information point by point. Bandages:- It is used for health increasing when you got damage further zone area and enemy. Bandages recovery twenty percent health but it is beneficial. You can found easily in all houses. A bandage will take 4 seconds to activate, and will heal a players health by 10% over a period of 3 seconds. It will only heal a player up to 75% health. First-Aid:- Just like as bandages, the first aid kit cannot be used if a player has 75% or more than 75% health. It is also used for recover health but first- aid kit recover seventy-five percent health. First -aid kit is a handy item on this game. Mega Kit:- Mega Kit is available less amount on this game because this one item is recovered complete 100% health on a one time. Mind-blowing item on PUBG Mobile Game. It is very difficult to find this mega kit on this game. This item is handy for unlimited health here we are given full information on how to use this item for PUBG Unlimited Health. Boost item is used for any time, but your health is less of total health. There are many boost item available like Energy Drink, Pain Killer and the last one is Adrenaline Syringe. Pain Killer:- The next boost item is the painkiller. It has a lower spawn rate than the energy drink if you take two painkillers then your health increase 40%. Adrenaline Syringe:- The Adrenaline syringe item is not easily available if you take one Adrenaline then your boost bar full on single time and increase health. 1. Vikendi exclusive additions such as G36C Assault Rifle and the Snowmobile to navigate its icy terrain. 2. New Parachuting system to glide or dive during freefall, improved animations and cut your chute before hitting the ground. 3. Players will be able to throw snowballs while waiting in the starting area to board the plane. 4. Vehicles will be more slippery in snow and icy areas. Acceleration on icy terrain will be slow while you will lose vehicle control as you speed up. 5. Footprints and vehicle tracks will be visible in PUBG Vikendi Snow Map as players travel in snowy areas which will help in identifying whether enemies have passed by recently. 6. These footprints and tracks won’t stay around forever. 7. The center of the red zone will spawn outside of the play zone and the smaller the play zone, the smaller will be the red zone. 8. The first circle of every game will be smaller than other maps; however, following circle sizes change will be less drastic on the PUBG Vikendi Snow Map. This will result in more blue zone variety as well as unique experiences. Below is the most important part. Here is the downloading links from which you can easily download the pubg mobile latest version with unlimited health. So checkit out. So guys, Hope you will liked this article on Pubg unlimited health. 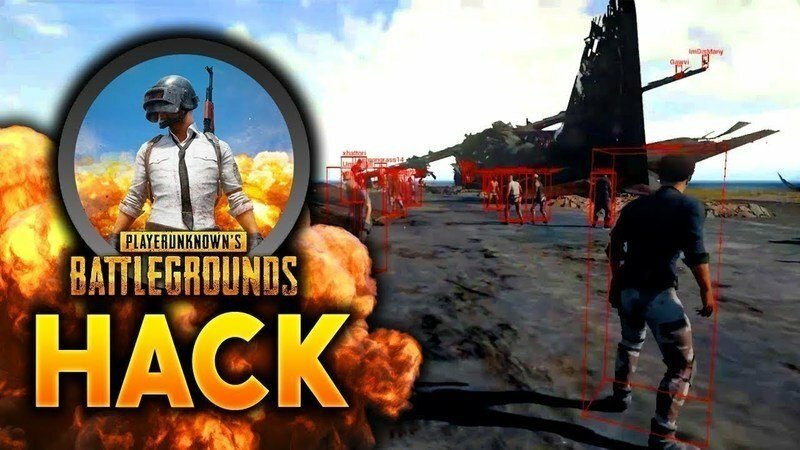 Also, if you liked this article then do share it with your friends and family members to enjoy this pubg game for free.